ESE Ltd are one of the leading manufacturers of bespoke Low Voltage Distribution Units. The units can be free standing using a rear connected LV cable box or they can be close coupled to your transformer via a specially designed throat arrangement. The lockable weatherproof enclosure c/w a rain shed roof, means that the units can be sited outdoors. Whilst our standard range uses Single TP ACB’s, as you can see we are able to supply a panel using a mixture of MCCB’s & ACB’s to suit your requirements, just contact our sales staff. Our range of Low Voltage Distribution Units includes MCCB’s housed in a standard lockable weatherproof enclosure. The changeover panel is the latest addition to the Low Voltage Distribution Unit we are able to offer. Again it is housed in our standard lockable weatherproof enclosure and can be mounted directly onto your transformer. This means that you can have the security of a generator connection point without having to alter your existing LV switchboard. 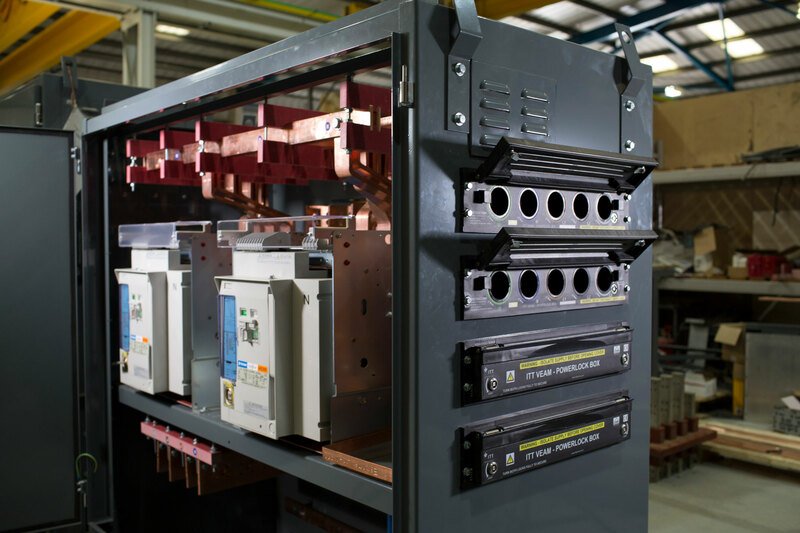 Your existing LV cable tails from your transformer to your LV switchboard will now be protected by a new ACB mounted in the changeover panel, and either a permanent or temporary generator can be connected to the remaining ACB. Both ACB’s are electrically and mechanically interlocked and controlled by a Deep Sea Unit. 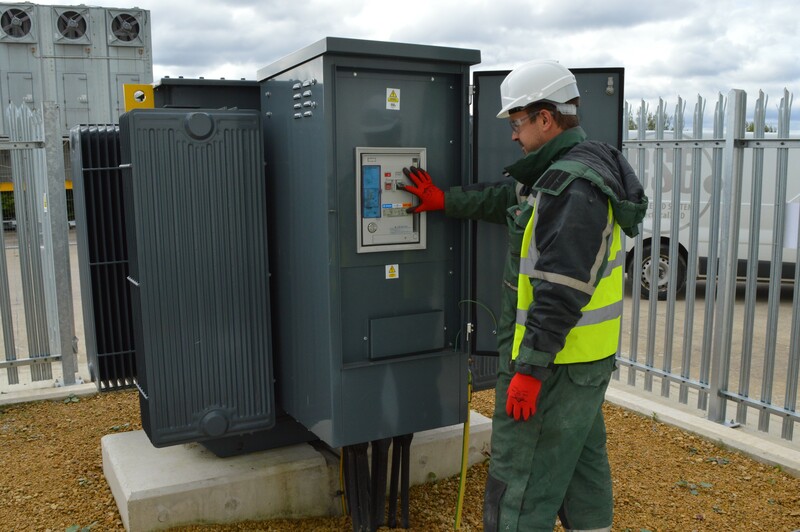 Generally most transformers are sited outside and by having the changeover panel directly coupled to the transformer should a need arise for a temporary generator to be coupled up it can be done quickly without having to go inside your premises. We are even able to supply “Litton Veam” type connectors on the side of the changeover panel to facilitate the connection of temporary generator cables. Whatever your requirements are please do not hesitate to contact our Sales Staff.